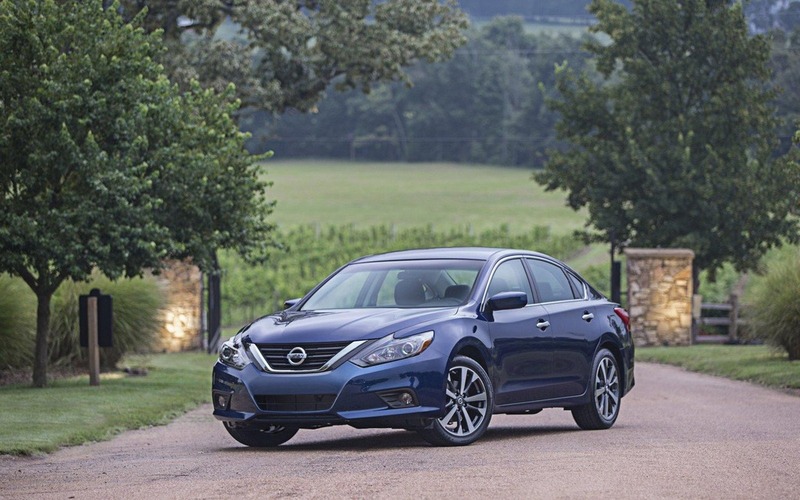 For 2016, Nissan decided to modernize its midsize sedan, the Altima. While the car isn’t entirely new, it features enough changes to make it easy to differentiate from last year’s version. The front fascia is all new; just like Nissan’s other new products, the Altima now sports the brand’s V-shaped grille and Boomerang headlights, although they are less pronounced than those found on the Murano and Maxima. In the better-equipped versions, LEDs acts as daytime-running lamps. The back of the car has also been modified to keep it close to the Maxima’s styling, and it now has stretched tail lamps as well as a black deflector sitting low on the bumper. New 17 and 18-inch wheels are also offered. All these changes are also good for the car’s aerodynamics, and it's drag coefficient has been lowered to 0.26 Cd (compared to last year’s 0.29 Cd). Inside, the changes are more subdued; we note the Zero Gravity seats as well as a new center console and steering wheel. The engine choices won’t change. Base-model Altimas will get a 2.5-litre four-cylinder with 182 horsepower and 180 pound-feet of torque, while the more luxurious variants will get the tried-and-true VQ35 V6 boasting 280 horses and 251 pound-feet of torque. Regardless of your powerplant of choice, power is sent through the Xtronic CVT transmission on its way to the front wheels. 2016 will see the arrival of a new, sportier-looking version of the Altima, the SR. It sports a rear wing, blue accents in the cabin, a leather-wrapped shifter and steering wheel, as well as paddle shifters on said wheel.